Feature Request: Blacklist Configuration option for the swapping wand. I would love to be able to prevent myself from swapping out my conduit facades. The acceleration wand is a godsend if you want to easily rush Botania, basically, spam right click on a hydroangeas whilst near water. It basically speeds up the mana production. Any way to prevent bedrock from being moved with the Displacement Wand? This would be a handy config option. Hey, I have one suggestion for an additional feature. It would be very nice if the wands could be configured to use Botania mana in addition to RF or durability. Either though a config setting or an additional crafting step. Just my 2 cents. Thanks for all of the great mods. GUI or crafting recipe to modify the color/appearance of the illumination orbs? IE insert or craft with a red dye to place red orbs. insert or craft with lapis and glass to get a blue orb with 90% less visibility of the orb itself. 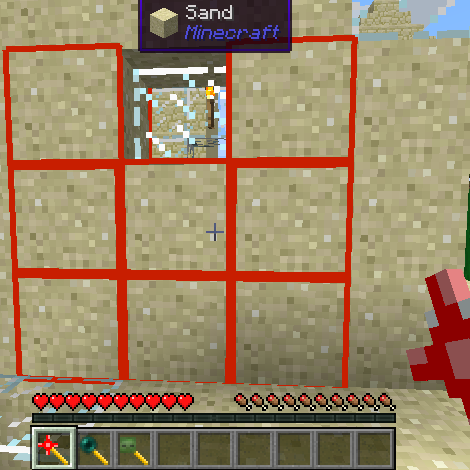 Insert or craft with bonemeal and cobble to get a white orb with 90% more obacity/vilibility. The builder in me thinks that these options and maybe more could really be useful and fun to use in decorating and lighting of areas. Perhaps dual layer textures for the light orbs? (red and orange fireball lamps?) :) thanks for your consideration. Dang, I'm getting (I think) the same teleportation wand crash error that Objit reports, and that's without any other mods installed. Just Minecraft 1.10.2, Forge 1.10.2-12.18.2.2099, and Not Enough Wands 1.10-1.3.9. Oh, and Java 8, update 111. Here's the crash report: http://pastebin.com/HKbG1Y5y. Okay, problem fixed! Oddly enough, adding in McJtyLib prevents the crash-on-load I was getting. I think the trouble was that, previously, nothing in my modpack knew anything about RF power. how do i do that the wands use RF not xp? I received an error when I installed the mod. Is it possible that your mod has incompatibility issues with some mods. I don't have Refined Storage installed like the previous post. Could you have the teleport wand set the fall distance to 0? If I use it to teleport through the air more than once or twice, the accumulated fall distance will severely damage me, or even kill me, even upon teleporting directly to the ground afterward. Had some issues with the teleportation wand. While facing north with Z of -1000 or so, the wand stuck my in a mountain somewhere at positive 999 Z. The same happened to my friend. He also got put under bedrock and started taking void damage when aiming it downward. I had to teleport him to save him. I thought the max distance was 30m, and for the positive Z issue, that wasn't even the right direction. That's extremely weird. How exactly did you manage that? Can you reproduce this problem reliable? Also what version of Not Enough Wands? Happened on version 1.10-1.3.6. I reproduced it once. I can try it again later. The initial issues described had happened to a friend I was playing with on my server. After he got back to me safely, he had me try the wand out also to see if it happened to me. I didn't want to test the one that sent him to the void, but just looking straight far out brought me to roughly 999 Z from -1000 Z or so. Quite strange. EDIT: it works fine, see below. maybe corrupt file on my end, or mod compatibility issue with some other mod?